Spooky Halloween-themed songs contribute a lot to getting those creative juices flowing for your Halloween haunt. Want to get Halloween theme song download on your computer to have you and your friends in the Halloween mood? Here is a free music downloader to deal with Halloween soundtrack download in MP3 as well as download other scary background music for kids, 2018 horror movie scores, soundtracks, thrilling songs, etc, whether to get your party started or just make the most macabre ringtone with the downloaded Halloween theme songs. Plus, we've compiled the most downloaded spooky-themed music, if you haven't prepared well for your Halloween party playlists at the end of the free Halloween theme song download solution. MacX YouTube Downloader is a free solution to download Halloween theme songs from YouTube or 1000+ other music/video sites. The free Halloween theme song downloader is 100% safe from adware or malware. 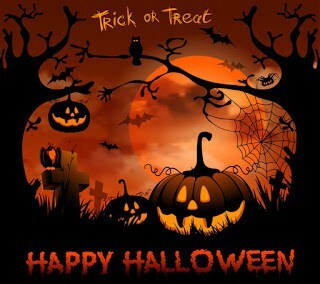 It will download Halloween scary music in MP3, WAV, WMA, AAC, AC3, etc. in a flash. 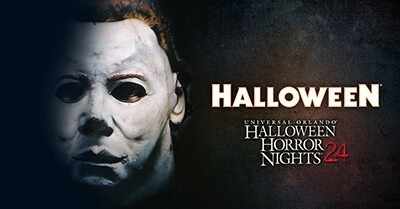 You can use it to freely download Halloween theme songs such as Halloween Michael Myers theme song, spooky party tunes and even best horror movies, TV shows in 720p 1080P or 4K UHD free from YouTube, Dailymotion, Vimeo, Vevo, Instagram, Facebook, etc. 1000+ music movie sharing sites. 3. Install and launch this best free Halloween theme song download software. Step 1: Copy and paste the URL of the Halloween theme song from YouTube. Click "analyze" to load the song information. You can load a whole spooky songs and party playlist for download later. Step 2: Choose the built-in video format, resolution and file size you want. You can download the Halloween songs audio in MP3, AAC, AC3, WAV, or FLV, MP4 or WebM format. Tips: This free Halloween themed music video downloader has the knack for automatically adding the output MP4 video to your iTunes library such that you can transfer the music video to iPhone iPad for future use. Step 4: Click "Download Now" to start freely download Halloween theme songs. Tips: There are cases that you need to play the downloaded Halloween Theme songs on iPhone, iPad, Android tablets, Samsung Galaxy Note/Edge, or edit them in your iMovie or Final Cut Pro, MacX Video Converter Pro is the way to go. It is designed to download and convert Halloween theme songs to iPhone iPad, Android, MP4, MOV, AVI, WMV, MPEG, etc and even helps to download Halloween theme song in MP3, iPhone ringtone, AAC, AC3, etc with about 420+ profiles. Thriller explores genres similar to those of fifth studio album Off the Wall (1979), including pop, post-disco, rock and funk. 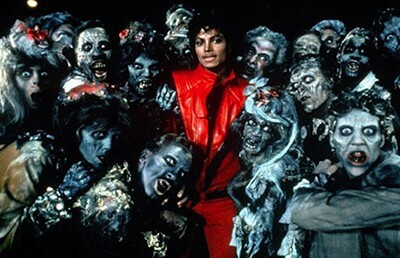 Thriller scared up a No.4 slot on Billboard Hot 100 in 1984, with digital sales to-date of 3.4 million. It is still the most downloaded Halloween themed music of all-time and has been on Halloween party playlists of all time. 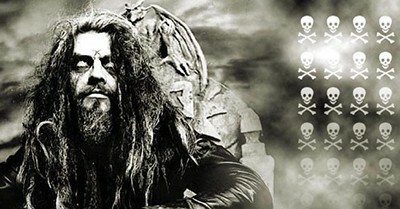 Rob Zombie is one of the spookiest musicians ever to complete the Halloween-time soundtrack, who is also acclaimed for his directorial skills within horror genre, including film like House of 1,000 Corpses and The Devil's Rejects. When mentioning Dragula, it is one of the songs one expects to find on a Halloween-themed collection. You can free download Halloween theme song Dragula and enjoy it offline. When mentioning the best Hollywood movie in horror, thriller genre, Halloween is second to none. And amidst the screaming essentials in the Halloween-themed film, (Micheal Myers) Theme Song performed by John Carpenter without doubt establish the atmosphere of Halloween, which is said to be one of Halloween's strongest assets. Currently, there is a large number of users asking for Michael Myers Halloween Thene song download. So if you're searching specifically for just Halloween music, never hesitate to download Halloween Theme Song (Micheal Myers). 1. "Ghostbusters" by Ray Parker Jr.
3. "Monster Mash" by Bobby "Boris" Pickett. 8. "I Want Candy" by Aaron Carter. 9. "The Munsters" theme song composed by Jack Marshall. Best free movie sites and movie downloader app for Android/Windows to free download top horror movies for Halloween Day. Hunt for a top 10 list of Hollywood horror movies to download for Halloween 2018? This page rounds up 10 top rated horrifying Horror movies Hollywood can never remake and guides you to free download horror movies of Hollywood. MacX YouTube Downloader is a full-featured, high quality, and functional free Halloween theme song video YouTube downloader. It also can help you to easily download HD or even 4K ultra HD video in a short time.